“He was very professional and he enforced a dress code in class – you couldn’t wear flip flops.” So says a recent graduate from Randolph-Macon College about Professor David Brat. 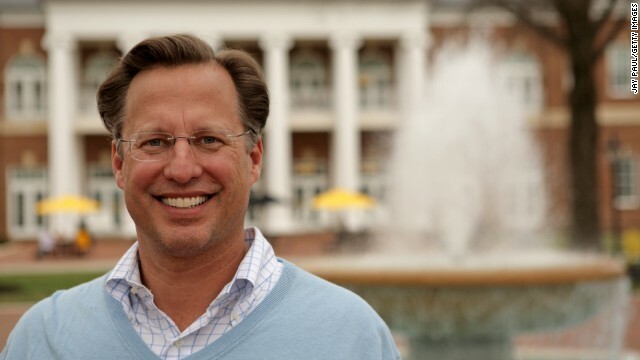 The same David Brat who defeated House Majority Leader Eric Cantor (R-VA) in a primary Tuesday that sent political shockwaves from the Richmond, Virginia suburbs up I-95 to the U.S. Capitol. “He was very serious about preparing his students for the future,” said Alyssa Warren, Randolph-Macon’s 2013 valedictorian. Violations to the no jeans, no t-shirts, no flip-flop dress code resulted in an ethics paper assignment. Although some students grumbled about that, 2012 graduate Lara O’Brien really appreciated how Brat equipped students for internships and beyond. “He wanted us to get a feel for real life, and not just bumming around campus,” she said laughingly. Students described Brat as a friendly, approachable and extremely intelligent professor. They always felt comfortable engaging him during class, office hours or around their tight-knit campus. He ate with students every day in the dining hall and frequently attended sporting events. Brat heavily emphasized dialogue in his classes, a tactic that might work well on Capitol Hill if he succeeds in the House of Representatives race for Virginia’s 7th district. O’Brien completely disagreed with Brat’s political views, but said his demeanor made him one of her favorite professors. She took two classes with Brat and counted him as a close ally and adviser. He even convinced her to stay at Randolph-Macon when she became homesick for Texas during her freshman year. Perhaps his charm explains why students of varying political views continue to rave about Brat. Warren described him as a “very charismatic, likeable person.” O’Brien agreed it felt genuine. Alumni even started the hashtag #Brammell on Twitter as a show of joint support. Alyssa Warren is actually happy she won’t be able to vote. “I’m glad it’s not my district,” she said. “Because how can you vote between two people who you really like and you know both are really great?” The general consensus from past students is that the House of Representatives will be lucky to have whoever may win.